After getting the Mahi heads machined I found I wanted a couple battery paks for myself that had a similar set of triangular milled pockets on them. I just like the way they feel in hand. I knew they would be expensive due to the machine time required for milling the pockets out. These paks can't be justified in terms of a functional improvement and strictly either appeal or not to the individual based on cosmetic and/or tactile merit. They have some more mass to them so the thermal capacity has been increased some. It would have been very expensive to just have a few machined so I did opt for a small run of them and am offering them at a price based on the added machine time required and expense to me. I kind of doubt that there will be an additional run of them but I won't rule it out completely. The stock and original titanium 1x123 pak has a price of $170 and these "Tri Paks" have a price of $235. I have photographed them with the various compatible heads to show how they look. 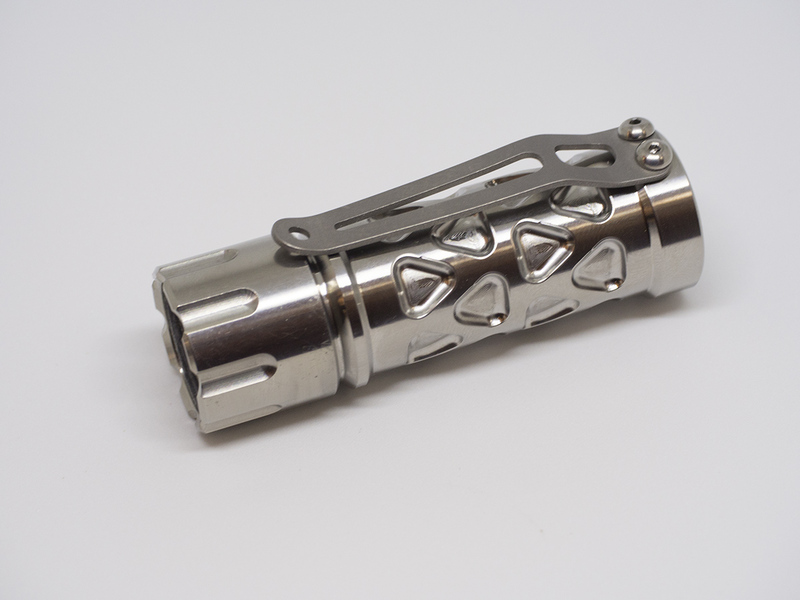 I initially thought about offering a limited run of this pak with the Mahi head and a HIVE light engine hosting a XP-L (HI) LED which I i picked up in a limited quantity as well. But I figured it would be more in keeping and probably easier in the ling run to just add the pak and the XL-L HI LED's to the offering and let the chips fall where they may. 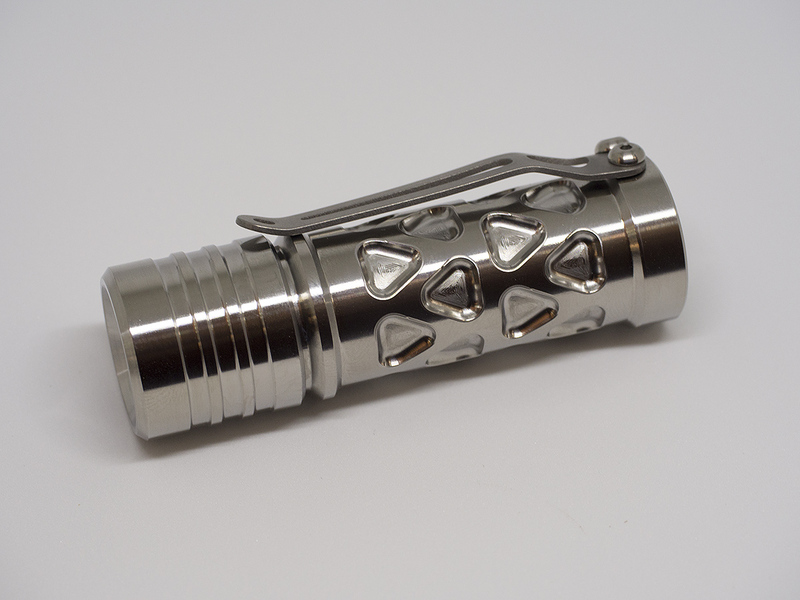 The details on the XP-L HI I am working with are that they are 4250K CCT and min 80 CRI. Flus is 380 - 424 lumens (@ 1050 mA) I am charging $5 more for the XP-L (HI) puting its price as the same as the XML2 option. I believe I have correctly changed the tables in the Pricing and offering thread to indicate these additions. Very nice! Definitely compliments the new Mahi head better than the old pak. I’m on the fence about it with the Haiku head. Excellent work Don! The new body looks stellar with the Mahi head. How are the ergonomics, since it appears to lack the narrow body/flared tail of the traditional body? I liked neutral tints before they were cool. The pockets to me provide as good if not a bit better grip than the ribs and reduced diameter of the stock clip. Finger tips and pads can gain a good grip without need for much pressure. I felt the same way, but it reminds me of an M1 (Albeit a Titanium one). I kinda like it. Perfect match with the Mahi head and also very nice on the Makai! They look very nice. 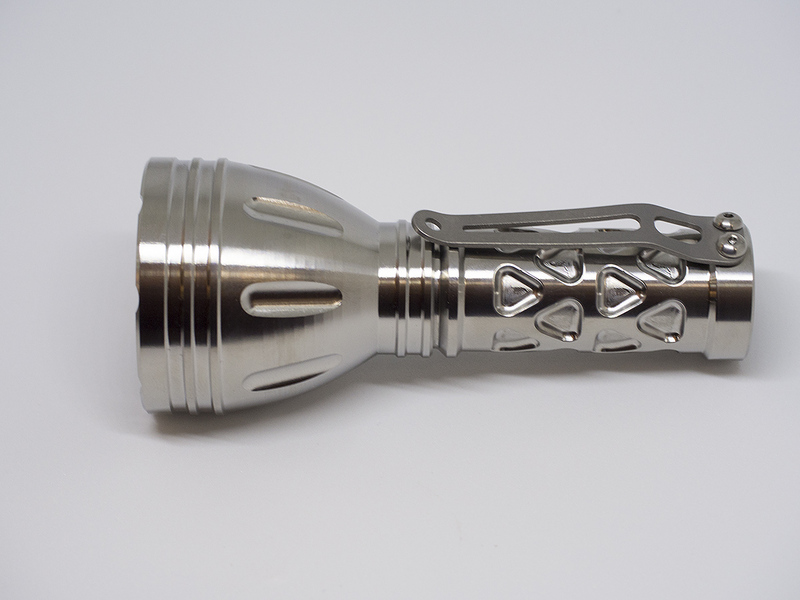 Would look great with the etched clip I expect. Would there be ANY chance of you doing this pattern in 1xAA or 2xCR123? Will the old old battery packs still be available, In the event we need one? Love the the new design, very nice. Last edited by RedLED; 10-24-2018 at 05:33 PM. I don't know if any more of these will be made but the "stock" 1x123 pak is still the standard. No plans at present but I won't rule it out either. Just ordered the whole package. 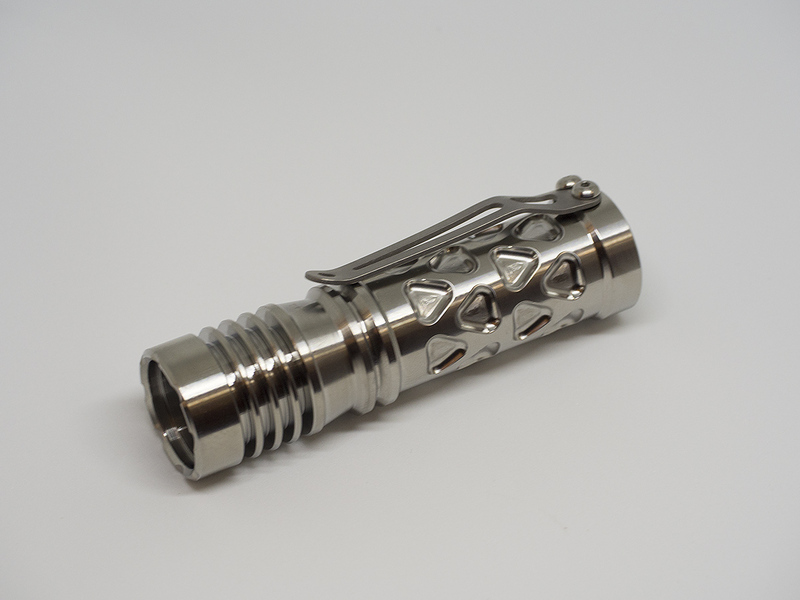 Mahi head with 1x123 Tri-Pak, Hive 3V, XP-L (HI) LED and etched clip. It will sit proudly near the door with my Haiku. My Mule sits on my nightstand. Last edited by Quoddy; 11-07-2018 at 06:23 AM. Looks good. Definitely a better match for the Mahi head than the ribbed Clicky Pak. Though I think I'd prefer milled grooves near either end of the Pak, so the shoulder ring and tail ring would appear to stand out from the main part of the battery tube the same amount as they do on the ribbed Clicky Pak. Last edited by fyrstormer; 11-07-2018 at 04:20 AM. from the limited shots ive seen, the XP-L HI makes for a really good beam in the sundrop. 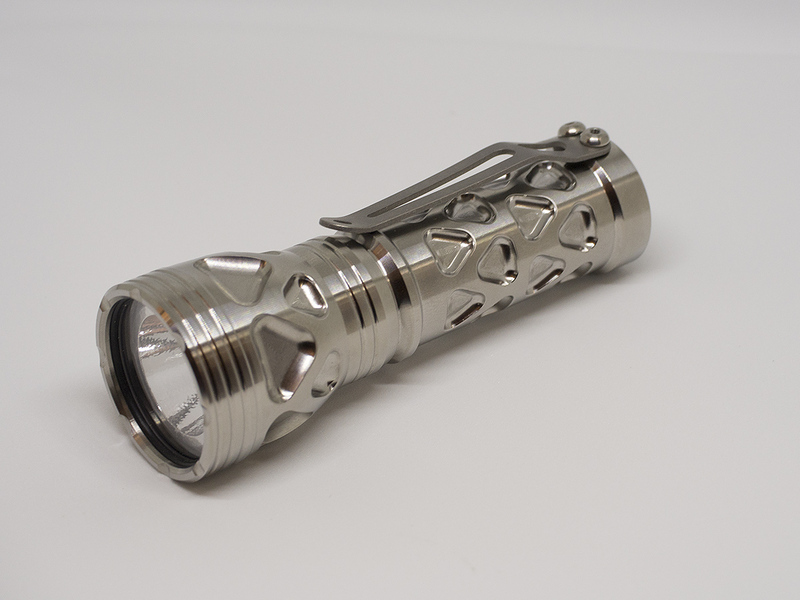 The XP-L has been a winner in all the flashlights I've bought that have it. Cree did a good job designing it. Got it today and it looks even better in person. To me, even though I'm a Mule fan, the beam, throw, and CRI look great. Last edited by Quoddy; 12-01-2018 at 02:48 PM.